This is the compilation of all songs and hymns from the entire Mission Praise collection. 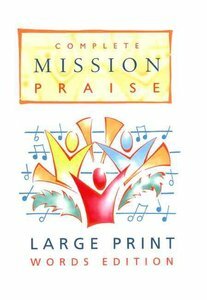 About "Complete Mission Praise (Music Book) (Large Print)"
Peter J. Horrobin is the founder and international director of Ellel Ministries (www.ellelministries.org), which has sixteen teaching and ministry centers throughout the world. A graduate of Oxford University, Peter and his wife, Fiona, live near Ellel Grange in Lancashire, England.